I’m sitting here on this cold, snowy Iowa day, wondering what I should write about. Then I got to thinking, once again, about my Frankie Laine collection of works. I collect several things. I have a collection of the Beatles works from music to films. In my youth, the Beatles were my musical passion. I had all their albums. Thinking I would preserve this array of vinyl, I subsequently dubbed all my albums onto cassette audio tape. Each tape contained more than one entire album. Then I meticulously typed a song list that corresponded to each tape. Now my collection of the Beatles’ music was ready for the ages . . . right? I am a former professional drummer. My idols were Gene Krupa and Buddy Rich. In addition to records and CDs, I have a collection of film material that I had collected years ago. I was able to rent 16 millimeter films of both Krupa and Rich Columbia “Thrills of Music” shorts. Along with other coveted film clips, I painstakingly taped these with a video camera onto VHS tapes for my personal collection. Now I had cataloged video of my idols while young and in their prime. I also met Buddy Rich twice (that’s another story), and I filmed a clip of one of his concerts on Super 8 movie film, now on VHS. And, while living in Chicago and playing a four-month stint with a band there, I visited Gene Krupa’s gravesite in Calumet City, Illinois. I had a Super 8 movie film of me standing and kneeling beside his headstone. This is also on VHS. I was never able to meet Krupa in person. Additionally, I have many other videotapes and cassette audio tapes of my favorite singers: Billie Holiday, Sarah Vaughn, Frank Sinatra, Billy Eckstine, Dinah Washington, Louis Jordan, along with many pop singers and bands of the sixties. I also have a vast collection of my own music career, which spanned from 1974 through drum solos as recent as 10 years ago. Most of this collection, from tapes to movies and videotape, has been dubbed onto CDs and DVDs. But all of these collections pale to my Frankie Laine Library collection of his works. Over the years, I have been able to re-catalog my audio and video collection of Laine works onto digital discs. But a considerable amount of my audio and video Laine collection is still analog. No CDs or DVDs? What are we supposed to record stuff on? I can’t see having an audio and video collection of flash drives or external hard drives. And these can break! And I wouldn’t want my collections embedded in a “cloud” in cyberspace, either! I have all of my collection of Frankie Laine radio shows yet on cassette audio tape. I have Frankie’s guest spot on Bing Crosby’s Philco Radio Time to Frankie’s final radio interview—and everything between. I also have several VHS tapes filled with Laine gems that I had acquired over the years from the late Helen Snow of the Frankie Laine Society of America. These include Frankie giving a special concert during his 75th birthday celebration, Laine’s Polish Festival concert, and various television guest spots during the 70s and 80s. I am a couple of years from retirement, and I was going to tackle dubbing these analog treasures on CDs and DVDs during my first year of retirement. But, if these digital media, too, go out of vogue, what do we collectors do? Understandably, while working on my collection for the past almost 40 years, I thought I was perpetuating my coveted Laine audio and video clips on VHS and cassette audio. Now it’s been noted that these methods of media storage are not permanent. I would think I’d be safe transferring my tapes to disc, but who knows at this point? It is my goal to permanently preserve all of the audio and video Frankie Laine collection. Perhaps I’ll donate it to a worthy institution someday. Perhaps it will remain within my family if my grandchildren find an interest in it. I suspect my entire Frankie Laine music, film, and video collection will one day finally reside on CDs and DVDs. Even though that Facebook post states I should not have those methods of storage any longer. Craig Cronbaugh, Director of the Legislative Information Office with the Legislative Services Agency at the Iowa State Capitol. 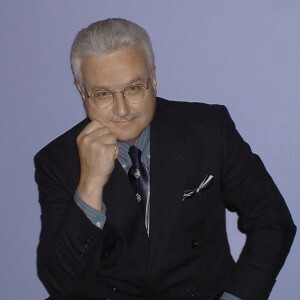 As famed singer Frankie Laine’s special friend and a collector of Laine’s recordings and career memorabilia, Craig has written articles; has written, produced, directed, and hosted a distinctive radio program; and has appeared on Iowa statewide television regarding his Frankie Laine avocation. Craig has been highlighted briefly and has been given a research screen credit in the 2003 internationally distributed documentary Frankie Laine: An American Dreamer. Craig’s book, a memoir, Reaching for a Star, featuring his friendship with Laine, was published in 2005.